The Rainforest Alliance needs our help to save the planet, but often non-profits do not always make it convenient for us to donate. 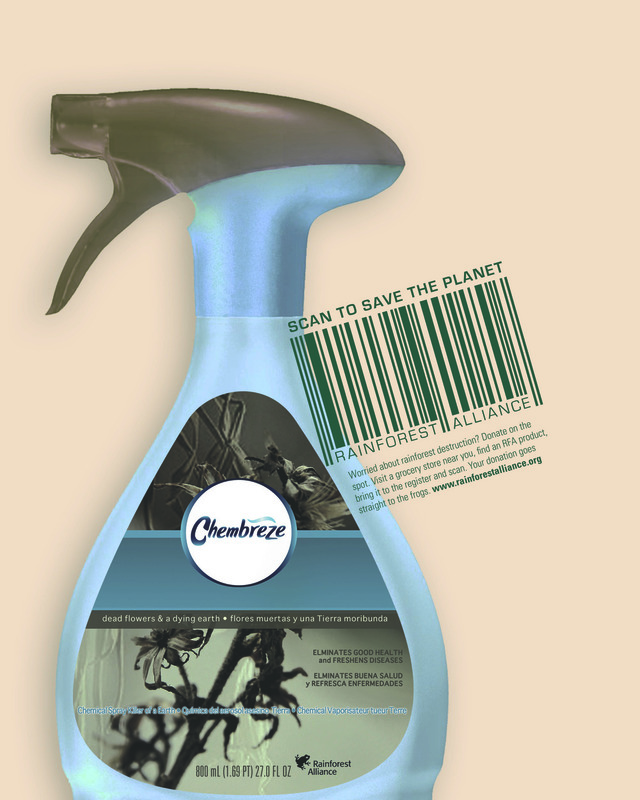 By joining together guerrilla advertising and collaborating with popular grocery stores, the Rainforest Alliance has created the Scan to Save campaign to make helping simple. The campaign consist of stickers, print advertising, and direct mail. It’s purpose is to allow you to shop, avoid harmful plastics and then scan to donate as part of your regular food shopping.